Even from its film days, medium format photography has always had a few strings attached. Born more out of the crucible of professional necessity than everyday ease of use; ergonomics, automatic functionality, size, and speed took a back seat in favor of the quality of the larger recording medium. Though medium format was on the forefront of digital photographic imaging, the camera bodies themselves remained for some time to be merely adequate tools to achieve still undeniably far superior image quality, but not much else in the way of a full featured, intuitive, reliable, easy to use camera. This was the case with the AFD camera body. The AFD did (and still continues to for those who still use it), get the job done. Over time, the AFD more or less became the DF+ we know today. The DF+ holds relevance, but is considered by many to be simply a vehicle for sharp Schneider optics and the highest quality digital backs. Certainly when compared with the the optics in front of it and the sensor behind it, the DF+ body seems somewhat out of place; a relic from a time not so long ago yet still behind in terms of modern technology. The same can be said of the Hasselblad camera body- the H series. The H series is functional- but at the cost of many small buttons and seemingly endless menus- again more or less a vehicle for glass and sensor. Enter the Phase One XF camera body. With the introduction of the XF camera body, Phase One added the last piece to the puzzle and, at long last, has brought medium format photography into the present day. Where older bodies obviously continue to draw much of their design from the dawn of the digital era, the XF draws from truly modern technology in appearance, usability, and functionality. The IQ series of digital backs were designed by Phase One as a modern imaging solution- stepping away from older technologies and modes of thinking. The IQ backs were certainly a huge improvement both in terms of functionality as well as design from older P backs as well as the Leaf Aptus line. Even when the IQ line was first introduced, there was a discrepancy between the “look” and “feel” of the digital back vs. the DF body it was designed to fit. Now, when looking at the IQ line of backs when paired with the XF body, it’s clear that the two were made for each other. On the outside, the sleek black metallic body perfectly fits and complements the IQ digital back, appearing to have been “cut from the same cloth”. On the inside, the XF’s internals allow it to achieve greater communication with the first and second generation of IQ digital backs, and even greater communication with the new IQ3 range. The result is a solid camera that behaves as a single unit that inspires confidence in its abilities-yet still boasts the versatility of a modular system. 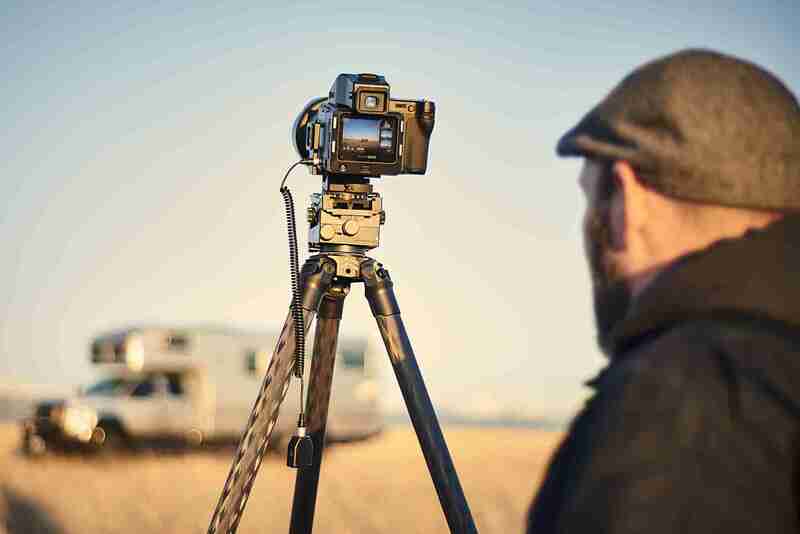 One of the most useful additions for the XF and IQ3 system is the power sharing ability. Not only does the body now accept the same batteries as the digital back, but power can be shared between them so that switching out batteries from either unit does not require a shutdown and subsequent boot up- causing a break in the shoot. This simple feature should not be glazed over. A single charger for the batteries both in the body and in the back cuts down on needless gear and saves space in a camera bag. It’s also one less point of failure. By doubling up on the same batteries instead of investing in two battery types there’s one less thing to keep track of. Furthermore, firmware updates for the body are easily handled through the back rather than through a vertical grip. A thing about firmware updates: they’re good. The very first firmware update for the XF body brought us brand new tools (bubble level, capture using the seismograph, etc.). Due to its software-driven nature, nearly anything can be upgraded or otherwise changed via a firmware update. Arguably one of the greatest improvements between the DF+ and the XF camera is autofocus. Using Phase One’s brand new Honeybee autofocus system, the XF’s autofocus is faster, snappier, and more accurate. This is achieved through its own dedicated 1 megapixel CMOS sensor. Even the autofocus system behavior can be manipulated via firmware update. Perhaps my favorite thing about the XF body isn’t a thing at all… it’s the XF’s potential. At release, it already improved tremendously on its predecessors. But what lay in the future? The ability to change nearly everything about the camera via firmware essentially makes the XF future proof- allowing Phase One more freedom in terms of compatibility and usability with future hardware. In the past, the camera body was just that- a body. A blunt instrument used as an attachment point for where the real magic happens- in the lens and digital back. Now- we have an intelligent camera body that provides information during a shoot. Diagnostics, seismograph, bubble level, intuitive touch menu, integrated Profoto trigger, and hyperfocal point calibration are all tools that live in the XF camera body. The DF+ was adequate. The XF is an asset. 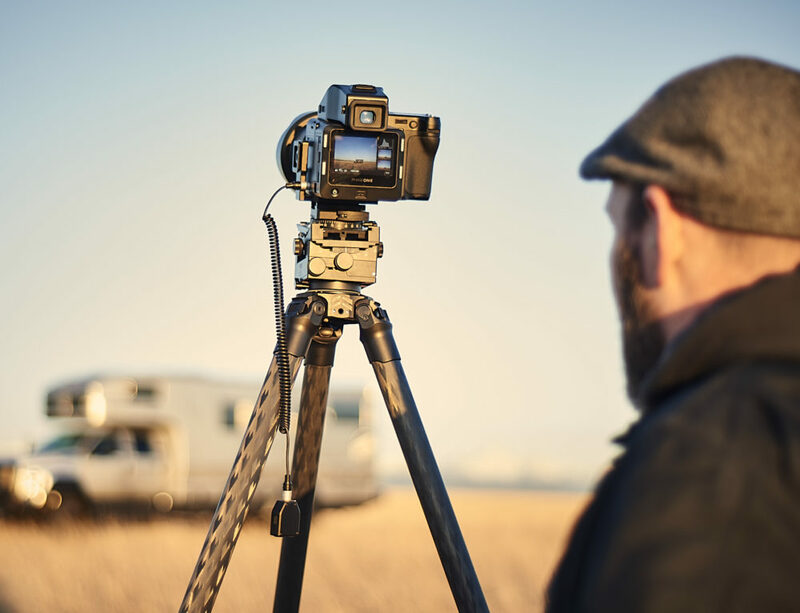 The new features and accessories all boil down to the fact that the XF/IQ3 camera is the most versatile and adaptable medium format system. Ever. The addition of a waist level finder and top down visible bubble level make new shooting positions possible – or allows rediscovery for those who used the waist level finder as a staple back in film days. The ability to completely reassign nearly every button on the camera body to fit your needs allows the camera to truly fit your style. Maybe you have a speed setting, studio setting, or maybe you just woke up one morning with an urge to swap aperture and shutter speed dials- it’s completely up to you. Even the built in Profoto radio trigger eliminates an extra piece of gear to keep track of. The release of the Phase One XF represents a new breed of camera. A camera that provides information so the photographer can make better decisions. A camera that can be adapted to fit any situation. A camera that is responsive, intuitive, and moves the shoot forward on its own. A camera with a company committed to it and its future use. The XF, to be sure, has opened new doors not only for photographers, but also for Phase One. It was the change so many were asking for. Though a huge step forward, the best part is not the XF camera as it is now, but what the camera can be in the future.